The KTM makes a awesome tourer as well . I recently did a 3 day trip covered over 2000km . 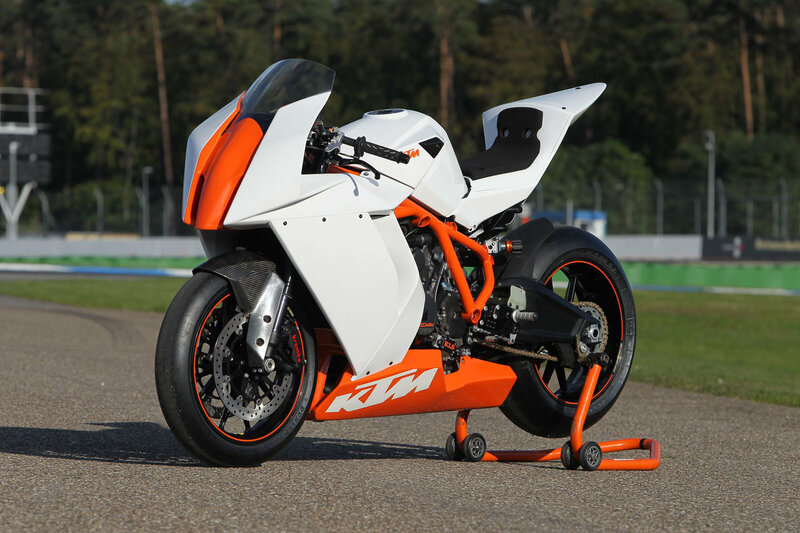 I have had many Ducati's but the KTM motor is on another level . That's kind of how I feel about the Multistrada, which for me is the "perfect" bike. I don't need massive horsepower and track performance for a street bike, but for those who do I'm sure the KTM is awesome. The Multistrada is a great bike for sure I have had a few of them . I think by blood is starting to turn orange . Thanks Jarel. I'm looking for a street bike so I can ride with my lady. My 1199 is the weapon of choice on the track. I think the Monster looks great and sounds good as well. You live in FL. Get a Diavel and be done with it. Seriously, if you haven't ridden one yet, you should. Enough sporty performance in the turns to keep you entertained, but seriously comfortable for the type of roads we have, plus it is hellacious in a straight line, and will also carry the lady in much more comfort than a Monster. Well, I'll defer to an actual owner who lived with it for 8 months. I've had 2 test rides totaling about 60 miles and I was shocked at well it turned and how hard it pulled. Compared to my Pani it was a La-Z-Boy recliner. Most reviews I've read had similar conclusions. The 2015 Diavel is supposedly significantly improved in comfort, and I like the new LED headlight a whole lot better. Remember, Leon said he was looking for a street bike to ride with his lady. He's going to keep the Pani for the track and getting his speed/lean jollies. Riding the same roads he rides, I honestly think a Diavel would be a great choice for those needs, and keep it in the family. I already said I would prefer the Dragster 800 as a street bike, but if my wife started riding with me again I'd consider the RSV4 Tuono or a Diavel. I don't see how those two bikes compare at all. The KTM is way better than the monster 1200. I wonder if the mapping is just different between the Monster and the Diavel. Same engine, difference compression, and a little different bore and stroke. Power difference between Monster and Diavel is largely due to Monster's round throttle bodies (which emphasize torque over max power) vs. the oval ones of Diavel/Multistrada, as well as the Diavel engine breathing a little better. You think? I dunno. I guess this just comes down to opinion like everything else. I spend more time in KTM dealerships than I do in Ducati dealerships and for some reason I just do not like their street bikes. I can't think of a single one that I actually like the styling on. They are so blocky and angular that they just don't do it for me. I don't like the RC8 or any of the Dukes. I do like the Adventures and all the enduro and MX bikes, but for some reason I have never liked their street bikes much. I saw you have an SF. I had one too for 4 years. Now THAT'S a sweet naked. Perhaps an RC8 R in the future ?